For most of the last hundred years, we've counted on flat top guitar bridges to resist the load of up to around 180 pounds of relentless string tension, to transfer the strings' vibrating energy to the top and to support a saddle that determines action height and intonation. The choice material for bridges has traditionally been ebony or rosewood because these two woods are among the most dense, stiff and strong in the world. 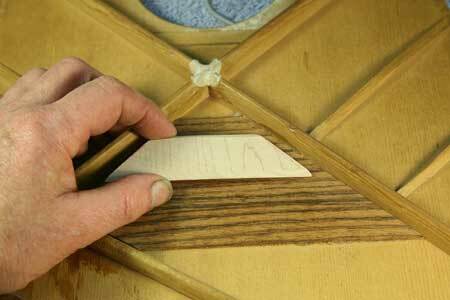 But, sometimes they fail - either pulling loose from the top to which they are glued or actually breaking under the load of string tension. 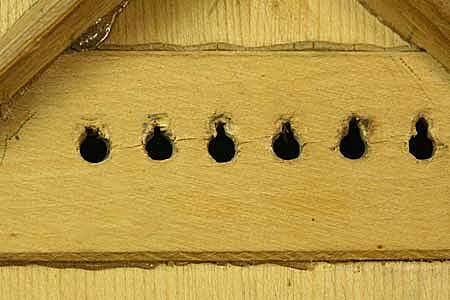 Regluing loose bridges is standard fare for most guitar repair shops, and it's usually successful, resulting in a healthy guitar. Structural failures of the bridge itself are often best addressed by replacement of the entire bridge. 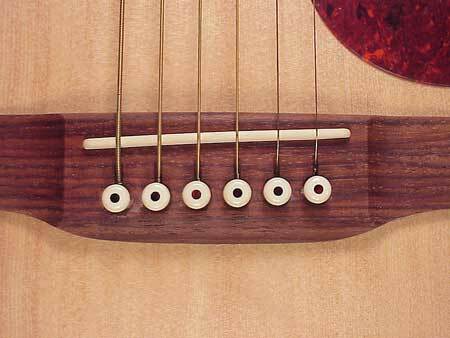 Unlike other structural parts of the guitar, the bridge must withstand a constant load, which, in the case of damage or poor design, may be concentrated in specific areas of the bridge, amounting to more than either the wood or any glue can handle. While a bridge may develop stress cracks in any position as a result of dryness caused heat and/or low humidity, the two most commonly seen structural failures of steel string bridges are cracks through the line of bridge pin holes, and cracks in the area that supports the saddle. 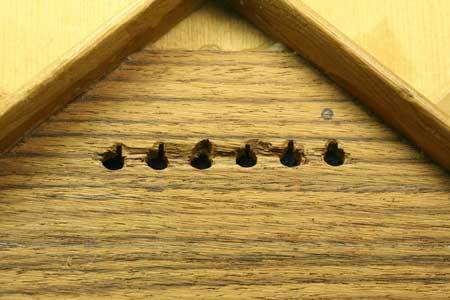 Wood is most likely to crack along the grain lines, and guitar bridges are always constructed with the grain oriented lengthwise, perpendicular to the pull of the strings. 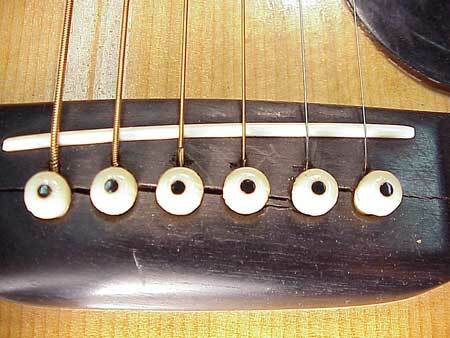 If the saddle fits very loosely, it will bear right on that upper edge of the slot, and the forward pull of the strings may be magnified enough to cause a similar crack. 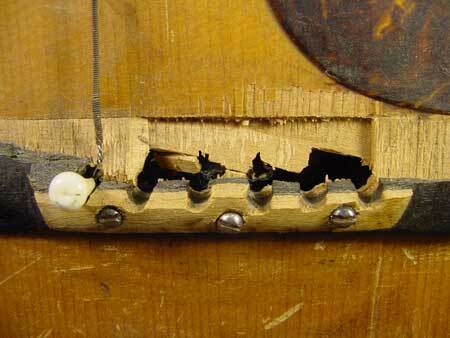 A bridge cracked at the saddle is hardly ever repairable. 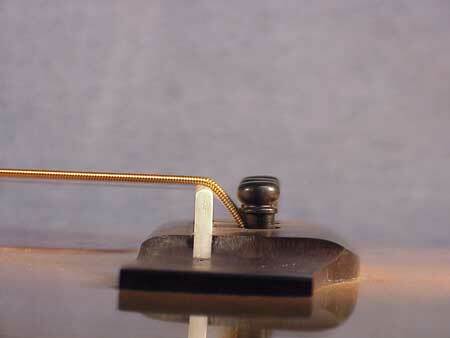 Most of the time the only logical course of action is to replace the bridge, preferably with one that has a better geometry – a taller bridge with a lower saddle or a deeper slot to accommodate the pickup element. The bridge above has an added bonus - since the pin holes are lined up parallel to the saddle there's a more even down pressure (break angle) on the saddle for each string. 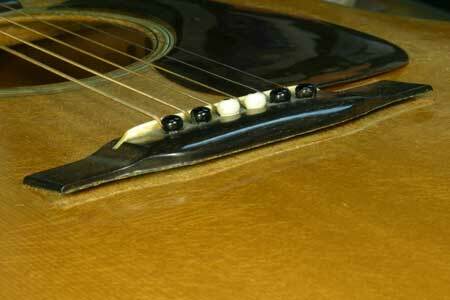 Synthetic materials such as high pressure laminated phenolic (Micarta) or epoxy/carbon fiber composites might indeed make for a superior and indestructible bridge, but the acoustic guitar remains a traditional stringed instrument, so these materials have not accrued much favor to date. 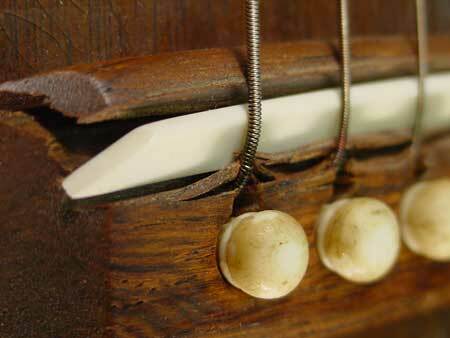 The bridge plate has two basic jobs – to reinforce the tender spruce against the wear and upward pull of the string balls, which are held against it by the bridge pins, and to help keep the top stiff and flat under the bridge. Notice how the string balls have pulled right up into the plate. Now, they're starting to bear directly on the bottom of the bridge, increasing the possibility that the bridge will bend and crack between the holes. 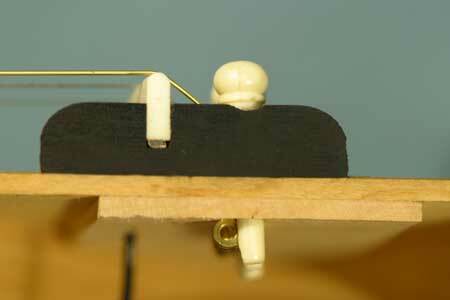 In the excess heat of a car parked in the sun, the glue bonds between the top, bridge and bridge plate may weaken enough to allow the entire assembly to bend under the load of string tension. While this kind of heat usually results in a loose bridge, it is also a major cause of bridge cracks. Even if the result is only a loose bridge, it may be accompanied by a crack in the bridge plate that might go unnoticed when the bridge is reglued. Complete bridge plate replacement is another good alternative to correct the worn or damaged plate that can cause cracks, but it is a process with more complexity and possible risks. 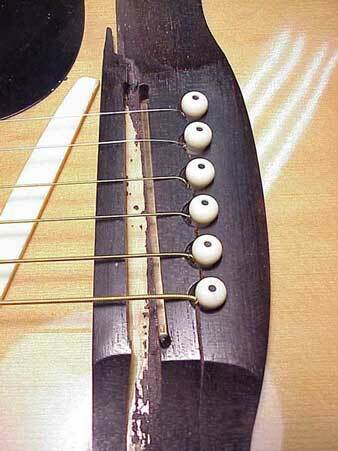 Replacing the bridge is a more certain way to assure continuing support for the string tension, but even then it may be desirable to overlay or replace the bridge plate for extra insurance. 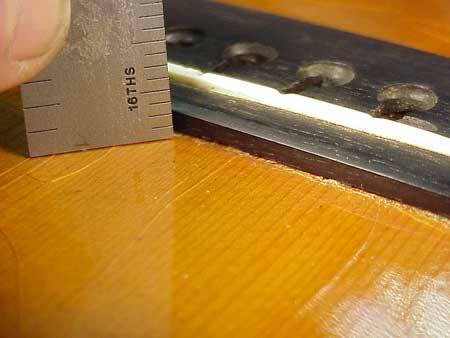 The new bridge may well be free from a defect in the grain that may have contributed to the crack, too. 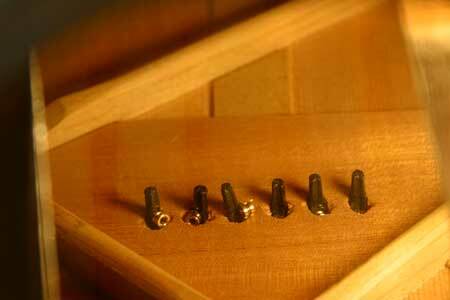 Screws are not a good way to try to fix anything on a guitar bridge!